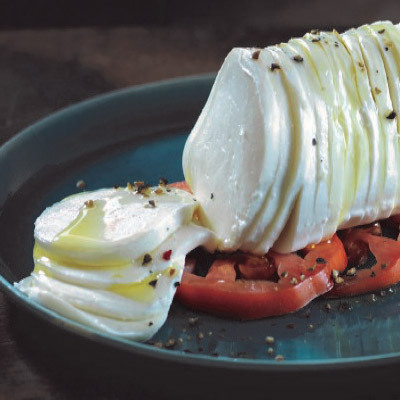 Zerto Mozzarella is now conveniently presliced and ready to add to your favorite dishes! Zerto Fresh Mozzarella is made with nothing but pure fresh milk! Its creamy texture and mild flavor are much softer than mass produced regular mozzarella. Great for Caprese salads, traditional pizzas and Baguette sandwhiches.